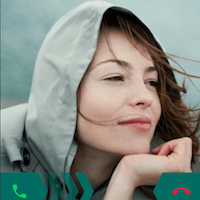 When you talk about instant messengers, the name of WhatsApp always comes on top because of its distinctive features. After the introduction of this app, the whole concept of social media totally changed. Along with features of multimedia and files sharing, it has also become a great tool for commercial purpose. The main purpose of WhatsApp is still entertainment that is why you can see a huge traffic of videos sharing in personal chats and groups. Sharing songs is a better idea because it can express your feelings in a better way. For availing latest WhatsApp song, you can explore more here. You may find countless streaming apps on the internet for Android but its little bit tricky to find a WhatsApp song download app. Imagine an app that can save all videos that you watch on popular streaming websites. It is now possible with Snaptube app which is specifically designed to provide you with unlimited entertainment stuff. Following are some significant features of this amazing app. All entertainment stuff available here is for free of cost without any restriction of skips or premium quality. As a free user, one can download videos with a maximum resolution of up to 4k. Other competitive apps provide facility as a paid feature. You can gain direct access to all media content by typing any song name in search box. 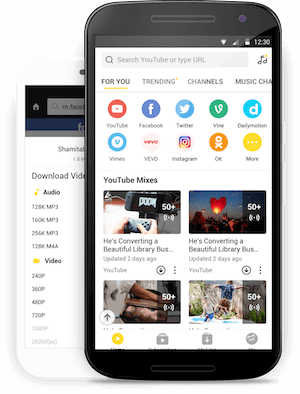 All social media websites are accessible through Snaptube for watching and downloading videos whether they are on your wall or in other person’s profile. 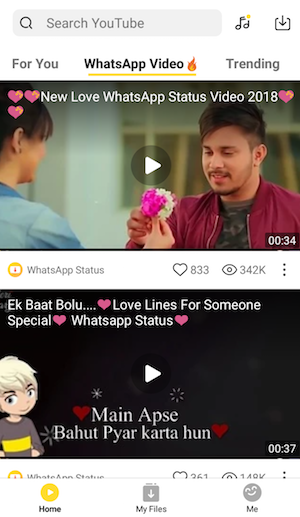 A special section of WhatsApp videos has been introduced to in the latest version of where all videos are available to fit in video status timeline. 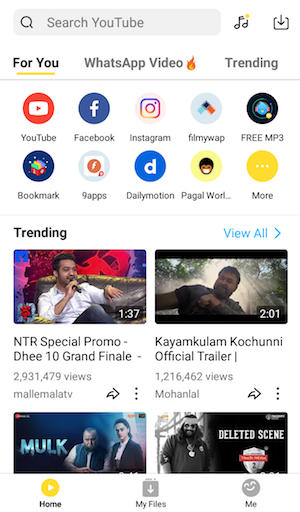 Download the Snaptube app in .apk on official website. Also, you can get it from reliable online partners like Uptodown and Aptoid. After downloading, install it just like you install an app received from wireless hotspot transfer portals. Tap on the .apk file, allow the phone to install third-party apps in settings. When the installation process completed, open the app and sign up with your Google ID. It is not necessary until you want to utilise the full potential of the app. Now open the “WhatsApp Video” section that is introduced in a latest version of Snaptube. Here you will find countless videos of different genres including love, sadness and celebration. 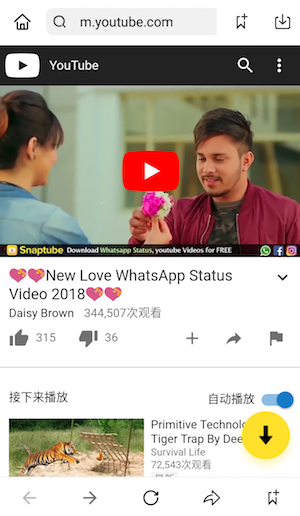 All videos available here will be around 30 seconds that can be easily updated as WhatsApp video status. Choose the video song of your choice and it will start playing. Tab on the below mentioned “Download” button. A popup will appear that provide you with several options of downloading video in resolutions like 720p, 1080p, 2k or 4k. Choose any of them to start downloading. Once finished, share it with others or update as your video status.